… went to the supermarket. 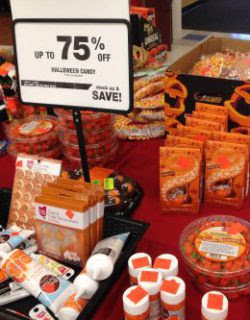 Halloween candy is on sale, 75% off. It’s the exact same candy it was two weeks ago – same packaging, same quality, same everything. The only difference is that demand has evaporated. And with it, 75% of its value. We face the same challenge. Packaging, pricing, content, relationships, blah, blah, blah. Of course it all matters. But if nobody wants what you’re offering, you’re facing an uphill climb.